Scientists are supposed to be objective, so why is it easier to publish your paper when you’re in a big-name lab? Why do women and minorities get harsher feedback from reviewers than white men? And more importantly, what can be done to make the process fair? 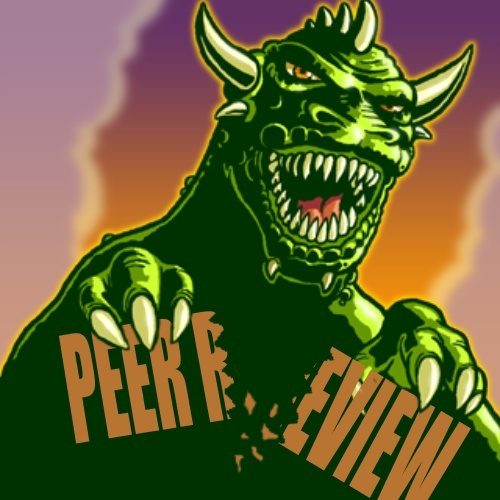 In this episode, we uncover the seamy underbelly of paper publishing and take a look at some alternatives to the current system of peer review, including the recent move by Nature to make the process “Double Blind”. His paper exploring the societal impacts of resurrected monster-reptiles of the late Cretaceous period was rejected. Now to try PLoS ONE! We’ll look at some of the early forms of scientific discourse and trace the evolution through time and technology, as well as identifying the unintended consequences of the current system. Is it better to make the process open like PLoS ONE? Would scientists benefit from an online collaboration tool that allowed discussion and feedback after publication? Dan and Josh have different opinions about how to improve the process, so be sure to leave your feedback in the comments section or on our Facebook page. How would you change the peer review system to improve scientific rigor, inclusiveness, and expand science’s impact on society? Moving from peer review to BEER review, we celebrate summer this week with the Fullsteam Summer Basil Farmhouse Ale and Daniel introduces a new puzzle form of the weekly word origin. He’ll give you a phrase that contains a literal translation of the secret word, along with some hints to help you find it. Your job is to guess the right word based on its meaning! This book, published by the Royal Society, must have contained very small handwriting. If you think you know the answer, email it to puzzle@hellophd.com by Thursday, August 6, 2015. We’ll select a winner randomly from the correct answers and announce it on the next episode. Happy Wording! Double-blind review favours increased representation of female authors. US and non-US submissions: an analysis of reviewer bias. What makes two PhDs who escaped from grad school years ago want to revisit all the highs and lows of their training? Short answer: Beer! But the long answer: Grad school is no cakewalk – classes are challenging, experiments fail, and sometimes, PIs seem like they’re from another planet. We made it through one day at a time, relying on regular conversations and scheming over a beer at the end of a long week. Hello PhD is your chance to join those conversations and benefit from the experience of other scientists who have made their living in, and out of, the lab. We want to help you take advantage of all of the great benefits of your science training experience, and avoid some of the mistakes and pitfalls. When chromosomes throw a Sparkle Party. In this episode, we’ll share the origins of the Hello PhD podcast and how Dan and Josh (your fearless hosts) first met. We’ll also lay out some of our goals for the show and how you can get involved. To celebrate our origins, we sample one of the beers that started us on the path to Hello PhD – the Top of the Hill Blueridge Blueberry Wheat. It’s 64 ounces of blue-flavored goodness, with a couple of fresh berries dropped in for a surprise finish. The last layer of our origin story is the word-origin of “chromsome.” Now that you understand the DNA of the podcast, you may as well know the DNA of the word used to describe DNA… It’s like an etymological Inception! 003: Should I take a new job or stay where I am? You may like your job, your boss, and your co-workers, but what happens if a “Dream Job” lands in your lap? Should you leave the safety of your current gig to take a risk on something new? What if it’s outside of the “norm” or in a slightly different field? 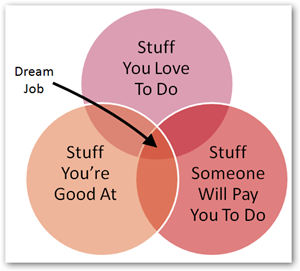 Stuff you love to do that people won’t pay you for is called a “Hobby.” Those are fun too! The answer is rarely simple, but this week we give you some tips on finding your passion, and pursuing it throughout your career. There are a few things you can do today to improve your odds of finding that dream job and landing it when it comes along. It won’t be easy. There are some mental and emotional barriers to stepping into the unknown, but we talk about how to overcome them. And don’t be surprised when your mentors and peers try to discourage you – they’re just projecting their own fears on you! If you’ve ever faced the question “Should I take a new job?” send us an email and tell us about the options and how you made the decision – we’d love to share your experience on a future episode! Also in this episode, we celebrate a Hello PhD milestone with a bottle of bubbly, share some love with the scientists who launched the New Horizons probe to Pluto, and uncover the controversial origins of the clavicle. And you thought it was put there by osteoblasts! If you’re interested in the IRACDA training program mentioned in this episode, you can find more information here. Is that guy left-handed? Let’s all watch to find out! The Obama administration has proposed some new rules that would give overtime pay to salaried workers making less than $50,400 per year. Who cares? Many post-docs who make the NIH recommended $42,840 seem to care! In this episode, we explore whether the new rules would apply to post-docs, and how post-doc salary has stagnated over the last ten years. If you have a dog in this fight, be sure to register your opinion on the regulations.gov website before the September deadline. I’m doing a rotation in a fairly well-known micro lab, and the PI isn’t around much. I’m working under a Post-doc, but he’s really busy, and every time I ask for help he tells me he’ll help me later. I’ve lost a couple of weeks waiting on him – what should I do? I’m looking for industry jobs, and I found one that sounds interesting at a local biotech company. I applied using their online portal, but I’m wondering if there’s something else I can do to improve my chances of getting an interview. Tim Hunt incited a firestorm on Twitter last month for making sexist comments about women in lab, and he eventually lost his job over the incident. We marvel at the intersection between science and social media, and examine the notion of sexism and bias for scientists committed to discovering truth. For ethanol, we go back to our youth with Yuengling Lager – the “fancy” beer of choice for poor grad students. And we unpack the word “Yuengling” – learn the meaning behind the beer!